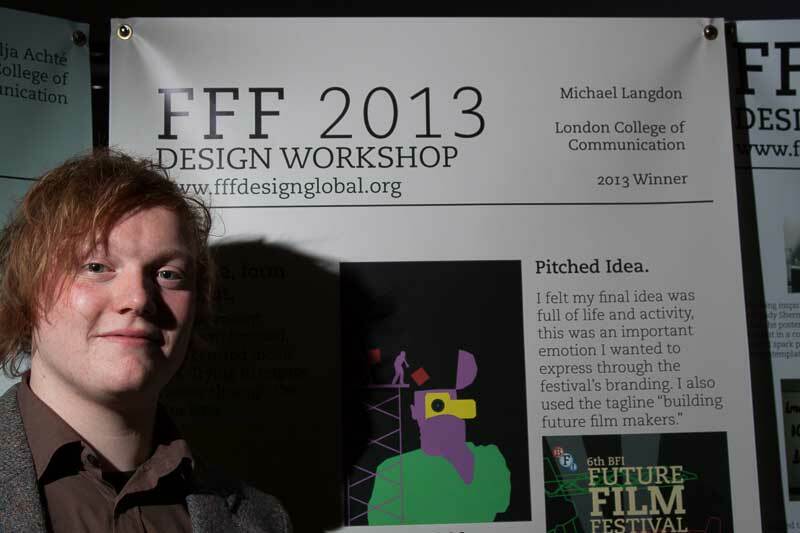 Michael Langdon standing proud next to his exhibition stand at the Future Film Festival, FBFI Southbank, London February 2013. “My internship at the BFI was an amazing experience for me, not only for being one of my first exposures to professional practise, but for being the first time I was able to see my work out there in the “real world”. When we first got the brief for the project I was very intimidated by it, and by seeing the talent that I was sharing the brief with, I really didn’t think that I’d be able to win it. So I decided just to do what I would like to see, rather then try and create something that would please. I’ve always had a personal preference for illustrated design and posters so I went down that route. I wanted to focus on the skill-building aspect of the festival and try and communicate the fact that instead of just being entertained, people that went would be gaining skills and knowledge. I wanted to represent this using a theme of construction. I decided to go for the tag line “Building future film makers”. I built my illustration around this tagline, create a human figure holding a camera with three BFI “mascots” operating construction equipment and placing colours and parts in its head. 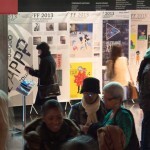 When it came to presenting my work my tagline was preferred over the work itself. So when I went to the next level of the competition I was completely redesigning my poster again around my tagline. 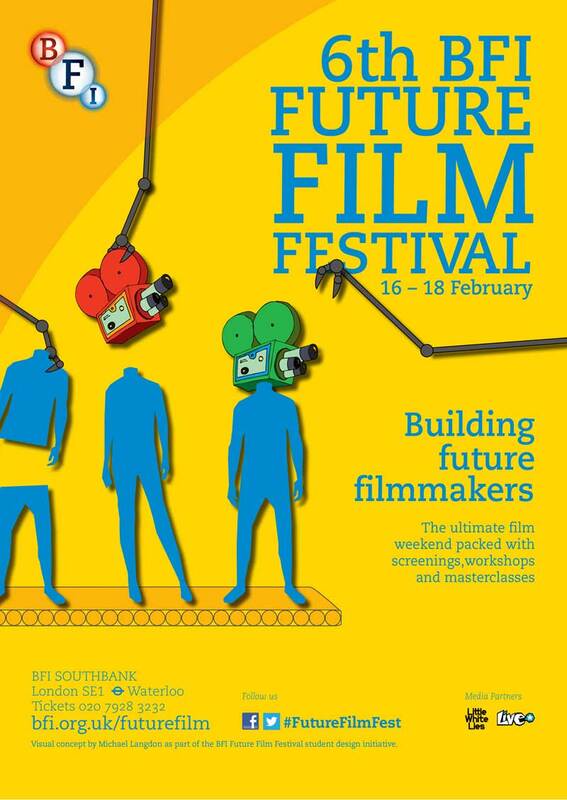 Building future filmmakers: the poster for the 6th Future Film Festival, held at BFI Southbank on 16-18 February 2013, designed by Michael Langdon. I came up with the idea of mascots from Christmas shopping in Oxford street. They seemed to represent both people and construction at the same time. This mascot being put together by robot hands on a construction line was chosen as the image for the festival and I built the final poster around that idea. Using a construction workers hard hat yellow to further reinforce the theme of construction.